Audrey E. Stryker, MD - an Ob/Gyn and partner at Women's Ob-Gyn, P.C. - has been traveling to underdeveloped countries with SonoSite ultrasound systems since 2004. As a part of the IWISH Foundation (International Women & Infant Sustainable Healthcare), she and her colleagues recently travelled to Haiti to help train the next generation of medical professionals. This is her story. "We've been traveling to underdeveloped countries since 2004, hoping to achieve a model that offers a sustainable means for countries to provide health care for their women and children. Haiti has presented challenges that we haven’t seen in countries also afflicted with abject poverty, governmental corruption and a dire need for access to medical care. Once we addressed the usual acquisition of technology and training involved in utilisation and distribution of knowledge, our colleagues and the people they serve have intermittently been overcome with natural disasters like the alphabet hurricanes of 2008 (Fay, Gustaf, Hanna and Ike), followed by the devastating earthquake of 2010, which has ultimately been a curse and then a blessing in so many ways. The earthquake brought to the forefront some of the obvious shortcomings of the myriad of NGOs tasked (over decades) with their missions to help the Haitian people out of their poverty. Paul Farmer’s alliance with the Haitian Health Ministry has brought about some necessary checks and balances that have allowed long-term quality and passionate caring to rise to the top of their mission statements. IT IS HAPPENING. It has taken many years of baby steps but now we are seeing leaps and bounds in medical care provided in the areas we have been serving. The office that Drs Honoure and Hosty have shared since Dr. Honoure’s collapsed on him during the Earthquake in 2010 has a very tiny ultrasound room. The first Sonosite I gave them more 10 years ago survived the hurricanes, the earthquake, as well as many trips to clinics in Port Au Prince, LeBours, Jacmel, Jeremie and on Lagonave. It has served us well, fitting perfectly into the small space next to the examination table. Unfortunately, it started to fail the month before I arrived (may it rest in peace). Thanks to the quick action of the Sonosite team, they now have been blessed with the updated Sonosite ultrasound machine that has a Cine-loop and colour flow Doppler capability, with which to educate the medical students and OBGYN residents. Dr Batsch and Dr Honoure learned first. They then taught three OBGYN senior residents and Dr Hosty (although Dr Hosty was the one who figured out how to push the buttons to be able to adjust the gain). Because all of our preop patients on Sunday were infertility patients with GYN problems, I offered to do an additional lecture on Infertility during my laparoscopy series of lectures Tuesday. Ultrasound, hysterosalpingogram (HSG) and laparoscopic images were projected so the attendees could assimilate what they are feeling on pelvic exam with the patients’ complaints, the HSG and pelvic ultrasound findings with what they will see with laparoscopy and hysteroscopy. Monday, we went to the orphanage to care for the children and see the progress being made on the Sustainability efforts at the Clinic. There were a couple of pregnant women who were having nonspecific problems, so Dr LaLanne from Port Au Prince General OBGYN residency programme took out our Sonosite and used one of the sleep areas as an ultrasound room. There are so many issues that cause anxiety for pregnant women in Haiti (ie. Zika is still causing some problems), that seeing their baby on that screen is the best gift that we can bring to them. That JOY is a wonderful thing to share. On LaGonave we started out using the machine in their hospital (it was fine), but missed the Cine-loop and Doppler flow, so we ended up using the Sonosite the rest of the time we were there. 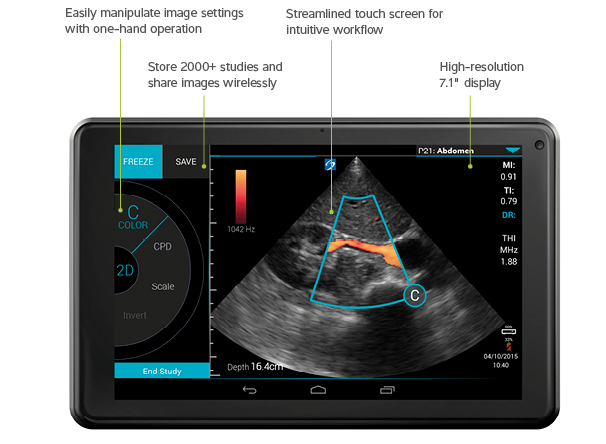 Ultimately, it will be nice to have one Sonosite on LaGonave so they have portable ultrasound capabilities and updated technology if needed. These Sonosite machines are so incredibly durable!!! Neither the dust, nor the heat, nor the humidity, nor the bouncing around on what remains of the roads in Haiti after the torrential down pours, has ever disrupted the great resolution and functional quality of this technology. In theory, I could bring them back for repair, but in the case of the ones I currently have down there, they’ve lasted longer than their replacement parts, without needing ANY attention! I hope this quality continues as the technologic advances improve. Most importantly, thank you to the SonoSite team for your support of the IWISHFoundation missions over the years! The benefit of your support through the loaner programmes has been an integral part to the training of physicians, particularly in the more remote areas because it is so easy to transport from one clinic to the next in the back pack you provide." Want to Learn More About our Most Portable Ultrasound Machines? Dr. Stryker's team was using the SonoSite M-Turbo in Haiti, one of our most portable systems. The SonoSite iViz is also built for extreme durability and portability. Learn about all of SonoSite's ultrasound machines on our Product page here.